Is lime acidic or alkaline? You might have already heard this question from gardeners. Most plants grow best in a neutral soil. Depending on the pH level of the soil, and whether lime is acidic or alkaline, lime can have a positive or negative effect on the plant. In this article, I will discuss more about lime and its impact on the soil. Is Lime Acidic or Alkaline? Why Add Lime to Soil? How Much Lime Should Be Added? When and How to Add Lime? Lime is a soil additive that is made from pulverized chalk or limestone. Its main active component is calcium carbonate. It may also contain other chemicals depending on its source. Other chemical components may include magnesium oxide, calcium oxide, and magnesium carbonate. Lime has an alkalizing effect. This means that it increases the pH level of the soil (the higher the pH, the more alkaline is the soil). Lime occurs naturally in some soils. However, naturally occurring lime needs sulfuric acid to be beneficial for the plants. Soil with a low pH level is acidic. 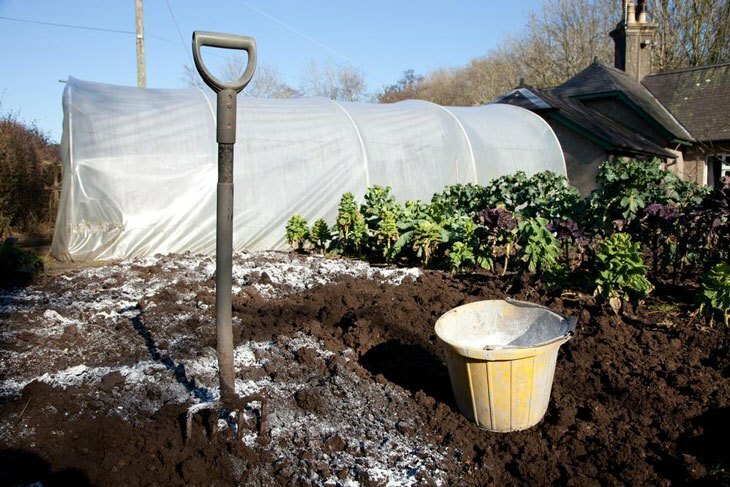 Soil acidity is one of the most common problems among gardeners. Most plants thrive in soil with a pH level between 5.5 and 6.5. When the pH is too low (acidic) or too high (alkaline), the plant won’t be able to absorb the nutrients in the soil. When plants have a nutrient deficiency, they normally have stunted growth and pale leaves. Provides magnesium and calcium for plants. Plants need magnesium to produce chlorophyll. Magnesium also allows plants to absorb macro nutrients, sulfur, phosphorus, nitrogen and other essential elements. Calcium, on the other hand, regulates the cells. It also helps stabilize the plants. When a plant is calcium-deficient, its leaves develop brown or yellow spots. Neutralizes the soil. Neutral soil allows worms and other helpful microorganisms to prosper. Breaking down of organic matter becomes easier. Helps make plants more resistant to diseases. Different plants thrive in different soil pH. Matching your soil’s pH level to what the plant requires can give the plant optimum growth. 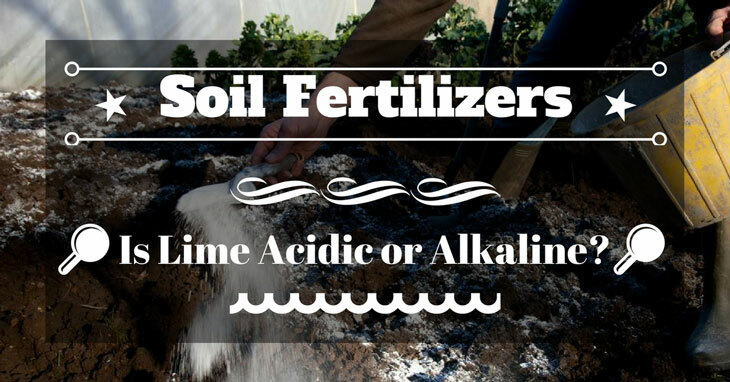 In the case of acidic soil, the amount of lime that you will apply also depends on how acidic or alkaline your soil is. That is why it is a good idea to first check the pH level of the soil before committing to anything else. DIY pH testing﻿﻿﻿ – This type of testing will not give you a specific pH number, but it will give you an idea if the soil is acidic, alkaline or neutral. You will need vinegar and baking soda for this procedure. Vinegar: Get about ¼ cup of soil and mix with distilled water. The water should just be enough to make the soil a liquid “mud.” Pour vinegar on the mud. If the mud fizzes, it is alkaline. Baking Soda: Get the same mixture as above. Sprinkle baking soda on top. If it bubbles, the soil is acidic. If there is no reaction after several minutes, the soil is fairly neutral. Professional pH Testing - You may have an agency in your area that conducts soil analysis service. If you are working on a big track of land, it would be a good idea to get their service. These agencies provide full written reports of the condition of your soil. Home Testing – For home gardeners, there are also available DIY kits available in most garden centers. You can use these kits to easily check the pH of the soil in your garden. A pH level of 7.0 is considered neutral. If the pH is below 7.0, the soil is acidic. If the pH is above 7.0, the soil is alkaline. Very Acidic (pH 3.0 - 5.0) – The most common plants can’t thrive at this pH level. When the soil is very acidic, most nutrients that are essential for plant’s growth easily washed away. Most phosphates are also locked up and are not available to plants when the soil is below pH 5.1. Bacteria cannot also rot organic matter below pH 4.7. This results in fewer nutrients available to plants. 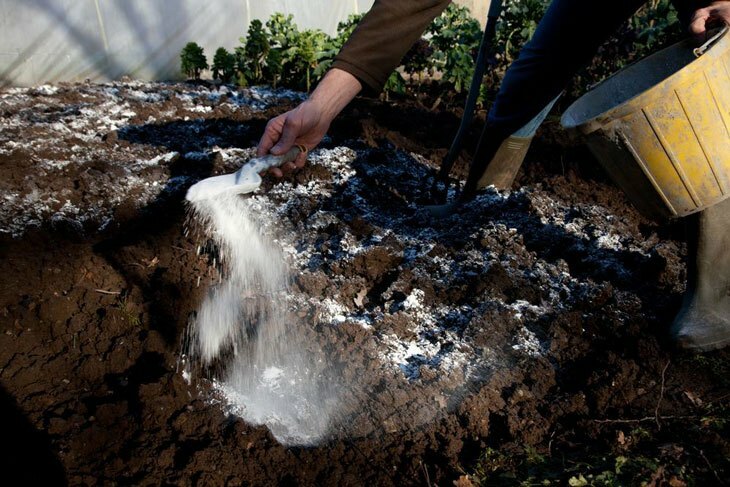 Lime Needed: To make very acidic soil conducive for growing common plants and vegetables, you need to add lime to raise the pH level above 5.0. You may need 100 pounds of lime per 1,000 square feet of soil. Acidic Soil pH (5.1 - 6.0) – This pH level is best for ericaceous plants. They include camellias, heathers, and rhododendrons. Lime Needed: You can add lime if you are planning to grow other plants. Moderately acidic (pH 6.1 - 7.0) – The best pH level for a general-purpose garden is 6.5. At this pH, you can grow most plants, except ericaceous plants. Lime Needed: No need to add lime starting at 6.5 pH level. Generally, fall is a great time for adding lime. 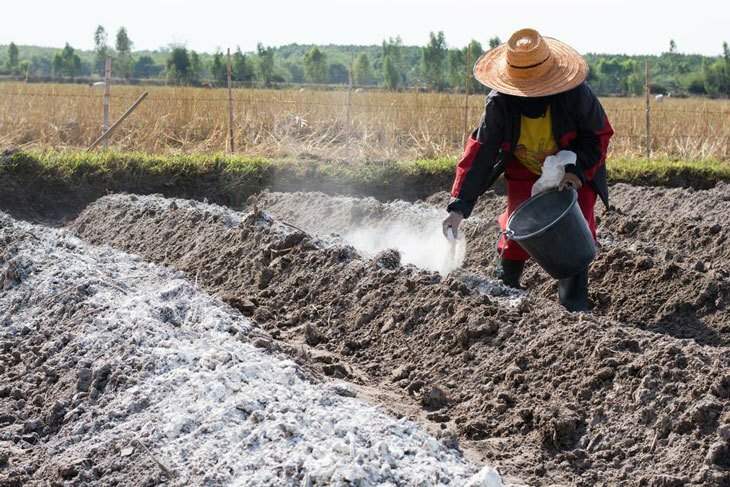 When you add lime during this season, it gives you adequate time for the lime to dissolve before the planting season. 1. Till and dig the soil up to 12 inches deep. 2. Spread the lime evenly on top of the soil. 3. Rake the lime to a depth of 2 inches. The soil pH will start to change in about four weeks after you add the lime. However, it may take up to 12 months before the lime will be completely dissolved. Lime has an alkaline effect on the soil. That means it can turn an acidic pH level to neutral which is ideal for growing plants. Before planning your garden, it is important to know the pH level of your soil so that you will know how much lime you need to add. How did you find this article? Please share with us your thoughts. If you think that someone you know might benefit from it, feel free to share this article on your social media channel. What is The Best Soil to Grow Pot? Discover the Truth: Do Plants Grow Better in Water or Soil? What is the Relationship Between Soil Texture and Water?